Rockville, Maryland, Monday, January 7, 2019 – Insilico Medicine, an artificial intelligence company developing end-to-end drug discovery pipelines for age-related diseases and TARA Biosystems, Inc. a company offering “heart-on-a-chip” tissue models for drug discovery and risk assessment applications, announced today the launch of a collaboration to discover and develop novel therapies for cardiac disease and diseases associated with cardiac muscle aging. The discovery and development of new drugs for cardiac disease requires significant time and capital. The unique collaboration will address this significant global health problem by combining Insilico Medicine’s rapid discovery capabilities with the power of TARA’s human-relevant tissue models, shaving off years and associated expense and incorporating clinically-relevant physiology early and consistently throughout preclinical development. “At Insilico Medicine, we interrogate hundreds of disease-relevant assays on a regular basis to identify those biological systems that we can trust to validate the targets and molecules identified using our end-to-end drug discovery pipelines. TARA’s cardiac tissue models are the next best thing to a human heart. Serendipitously, they have one of the most professional and agile management teams that we have encountered during our quest for the best assays. This kind of partnership between AI companies and engineered biology companies is very new and we are extremely excited to partner with TARA Biosystems, a team with a good heart,” said Alex Zhavoronkov, PhD, CEO of Insilico Medicine. TARA Biosystems, Inc. provides predictive, in vitro human cardiac tissue models for use in drug discovery and risk assessment. 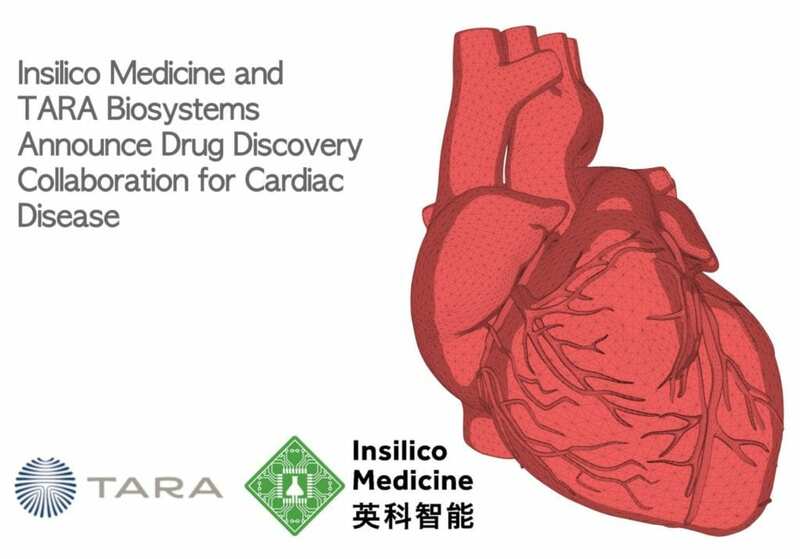 TARA Biosystems offers a high-fidelity solution that is based on human iPSC derived cardiac tissue matured to physiologically relevant adult-like levels and provides direct measures of cardiac functionality, including contractile force. The TARA platform allows pharma to access human cardiac information on therapeutics candidates earlier in the drug development cycle. In 2018, TARA Biosystems received Frost & Sullivan’s prestigious North American Technology Innovation Award for its trailblazing Biowire™ II heart-on-a-chip platform. Insilico Medicine is an artificial intelligence company headquartered in Rockville, with R&D and management resources in Belgium, Russia, UK, Taiwan, and Korea sourced through hackathons and competitions. The company and its scientists are dedicated to extending human productive longevity and transforming every step of the drug discovery and drug development process through excellence in biomarker discovery, drug development, digital medicine, and aging research. Insilico pioneered the applications of the generative adversarial networks (GANs) and reinforcement learning for generation of novel molecular structures for the diseases with a known target and with no known targets. In addition to working collaborations with the large pharmaceutical companies, the company is pursuing internal drug discovery programs in cancer, dermatological diseases, fibrosis, Parkinson’s Disease, Alzheimer’s Disease, ALS, diabetes, sarcopenia, and aging. Through a partnership with LifeExtension.com, the company launched a range of nutraceutical products compounded using the advanced bioinformatics techniques and deep learning approaches. It also provides a range of consumer-facing applications including Young.AI. Insilico Medicine is one of the founding companies of the Alliance of Artificial Intelligence in Healthcare (AAIH).